Last Sunday, May 19th, was a big day for us at Westfield. 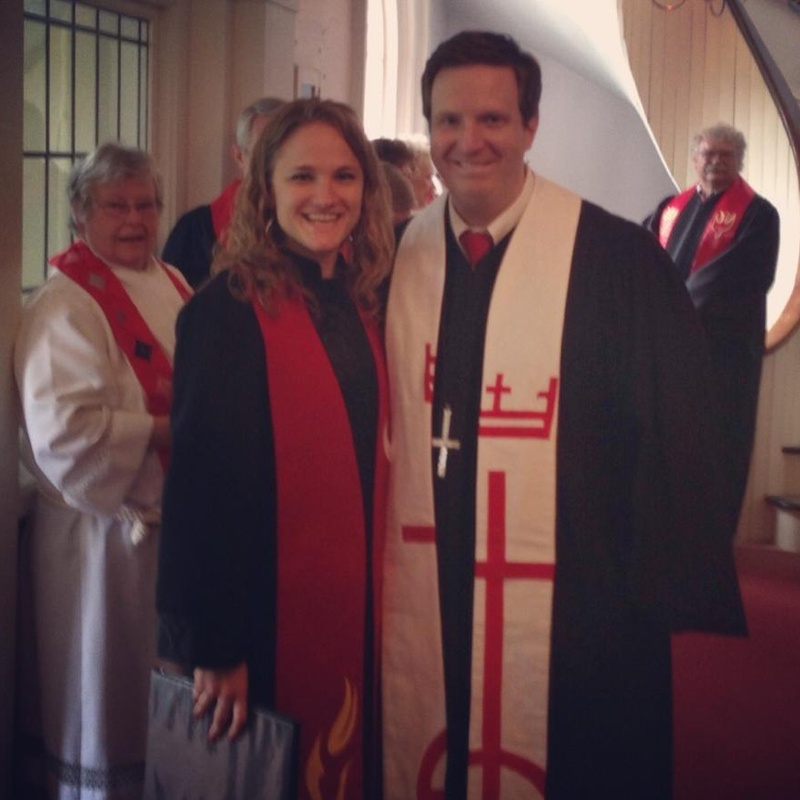 It was Pentecost, the church’s commemoration of the Holy Spirit’s descent upon the disciples and celebration of the ways the Spirit continues to work in our lives. 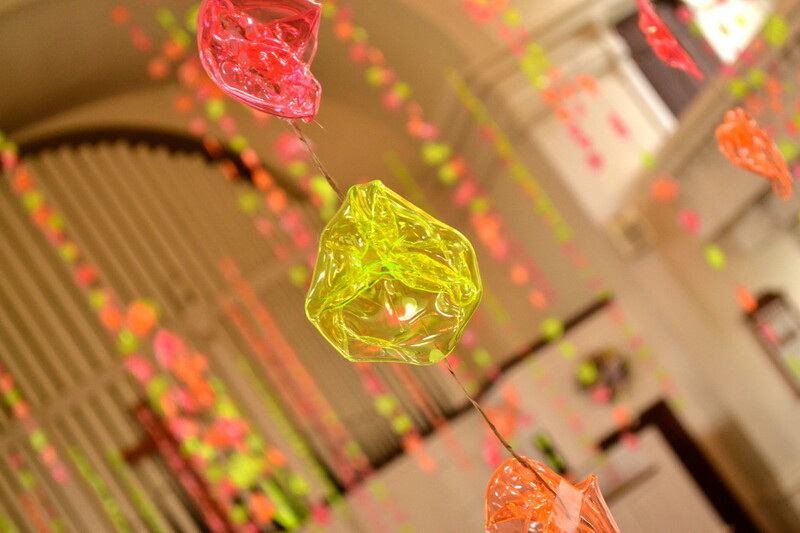 We had a colorful installation that recalled the tongues of fire from so many years ago. (Click the image to read more about that). 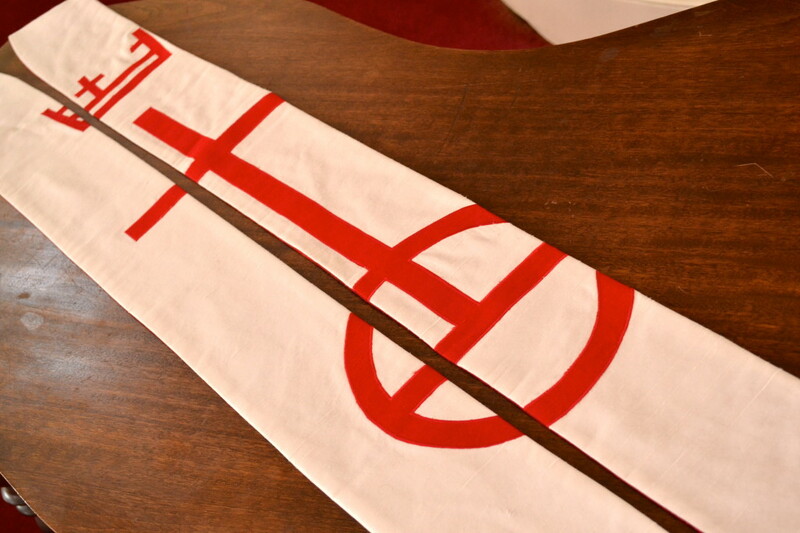 Aside from the celebratory feel of the day, I’m always excited for the liturgical color to be red. 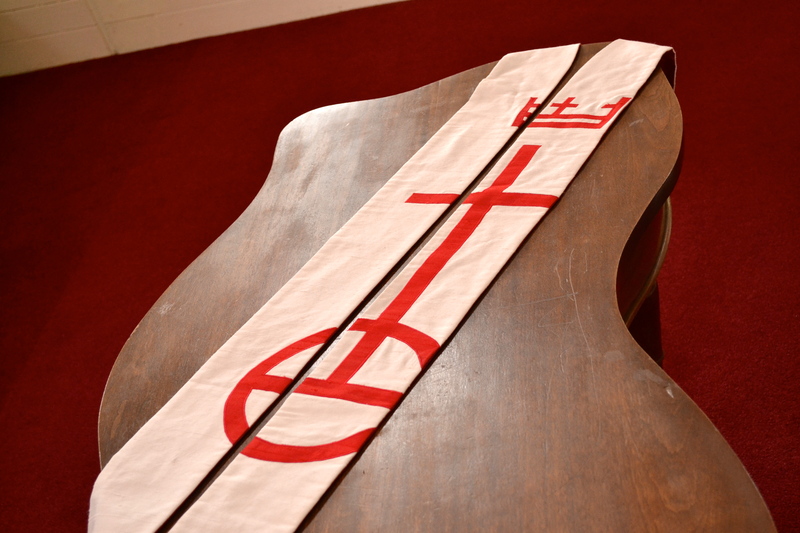 Mostly because I’ve got some pretty snazzy red stoles (if I do say so myself). 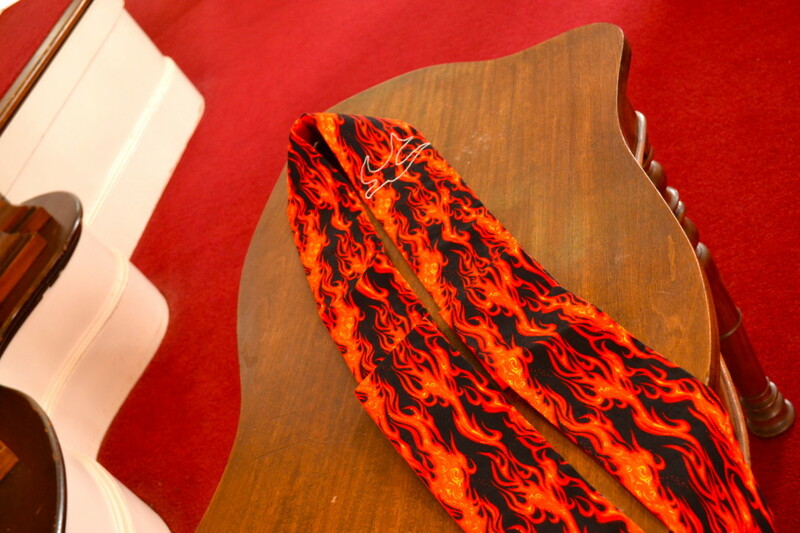 This flaming stole was a birthday gift from my dear G. who thought it was a nice stole, but gave it to me partly as a joke. 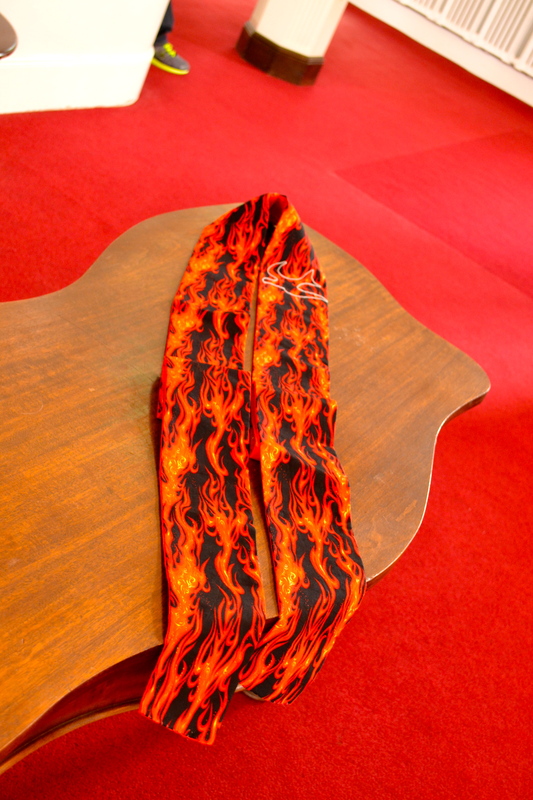 Turns out the red and orange flames leaping up its lengths are particularly striking when laid against the black background of a preaching robe. If you look closely, you can see G’s shoe in the upper left corner of the next photo! 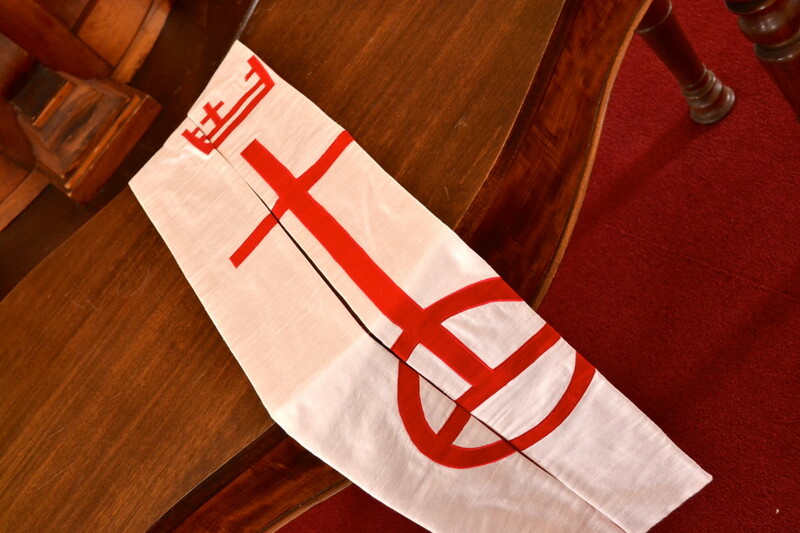 The upper left chest boasts an embroidered dove, reminding us of the Spirit’s previous appearances in the gospels. 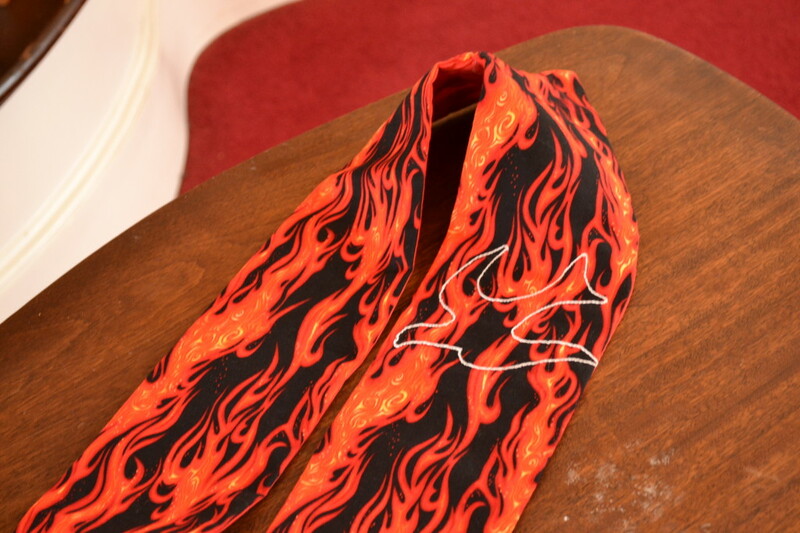 The back of the stole is just as striking with it’s deep red color. My dear friends and mentors Gary and Barbara gave to me upon my receiving the call at Westfield. 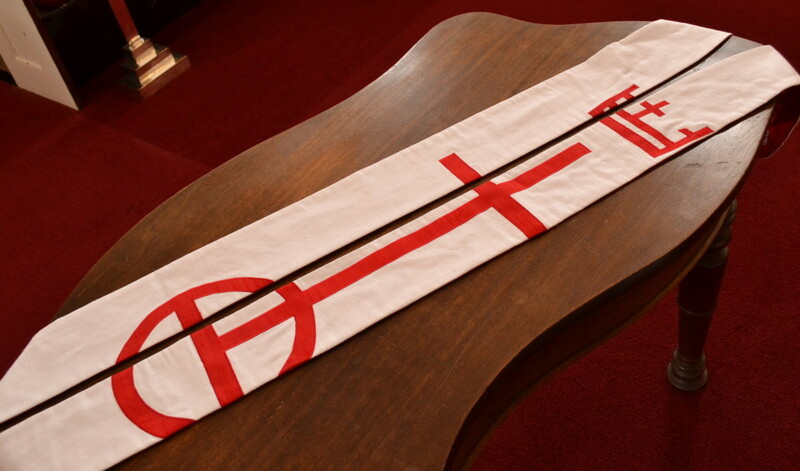 It features the UCC symbol across the front two panels. 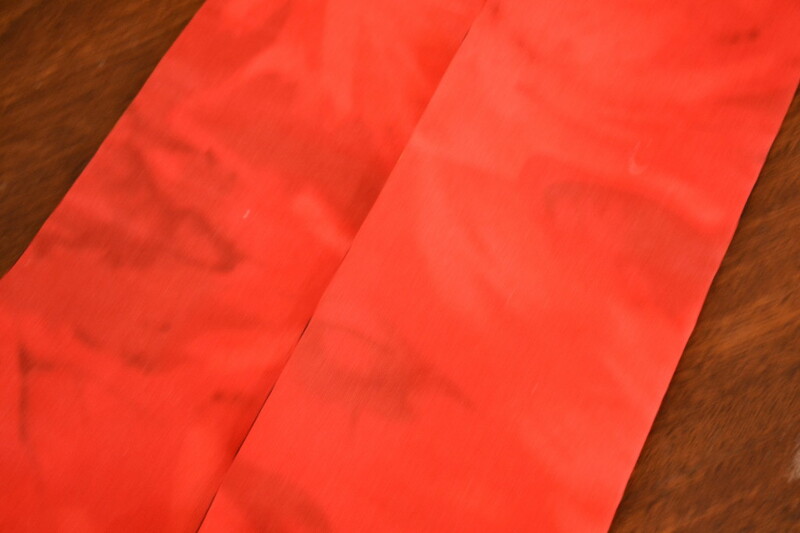 The color for the installation was red, and while this main color on this stole is white, it had enough red to pass! 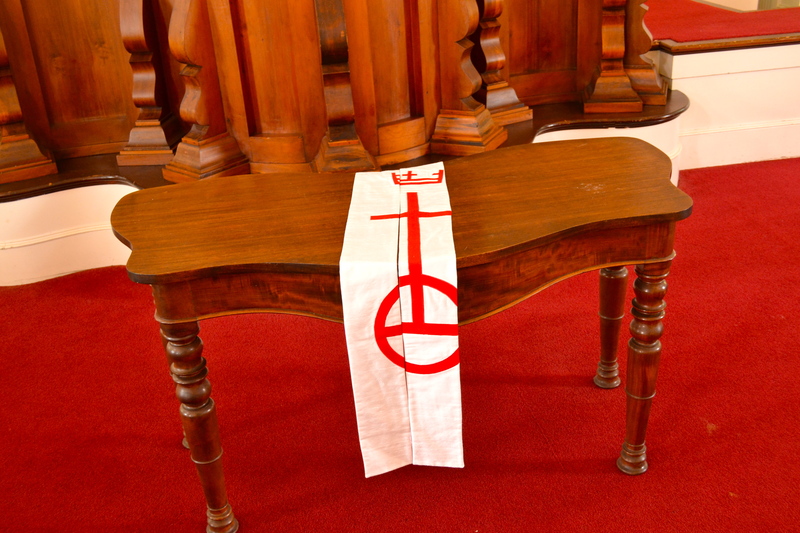 The UCC symbol includes the Cross Triumphant. The crown symbolizes the sovereignty of Christ. The cross recalls his suffering. The orb, divided into three parts, reminds us of Jesus’ command to be his “witnesses in Jerusalem and in all of Judea and Samaria and to the ends of the earth” (Acts 1:8).